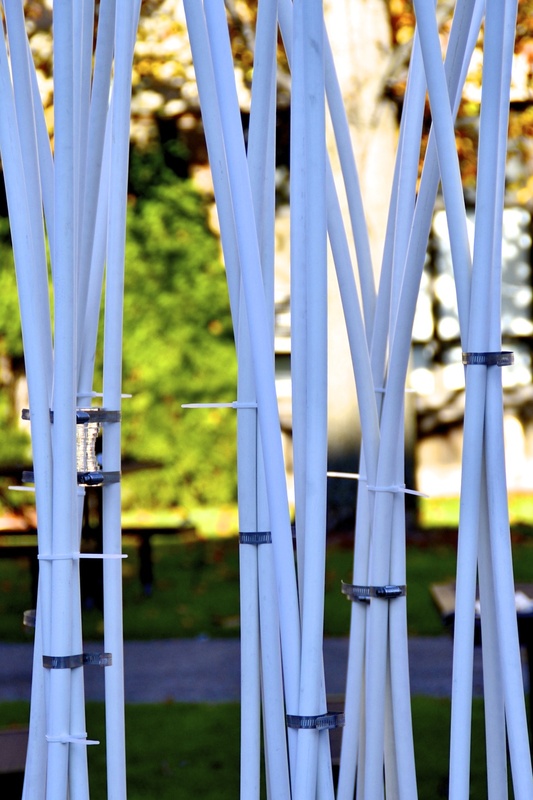 Exhibited as an installation on the Atlantic Wharf in Boston, MA, this project utilizes a field of PVC pipes to evoke a sense of immersion in varying densities. A group of 12 students, 1 instructor and 1 wood-shop technician traveled throughout New York City, Big Bend National Park in Texas and Marfa Texas, the location of the Chinati Foundation founded by artist Donald Judd. 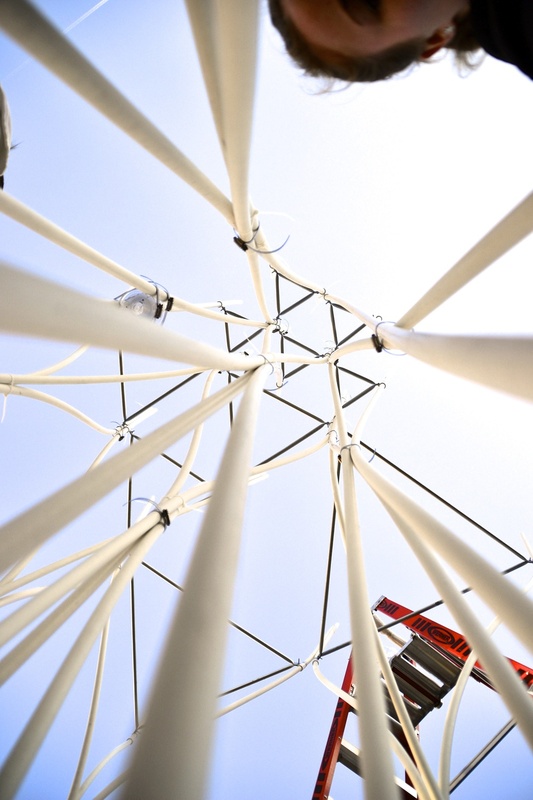 We have set out to design and build an Architectural Installation inspired by our experiences of our ten-day travel. Drawings can be found here.